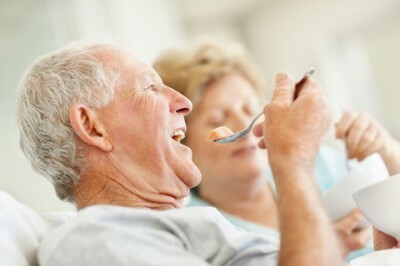 Sometimes it is necessary for people who have had a stroke to receive thickened fluids and/or texture modified meals, in order to make swallowing easier and safer for them. Your Speech Pathologist at Parramatta Speech, Language & Literacy Solutions can undertake a thorough assessment and advise you or your family member/ friend / client about the safest ways for eating and drinking and the safest food and fluid consistencies. Contact Parramatta Speech, Language & Literacy Solutions to book an assessment. understand and make sense of written material that has been read. These communication difficulties can have a devastating impact upon an individual’s ability to interact and communicate with their family, friends and people in the community (e.g. at shops, banks etc.). Making a phone call to organise a doctor’s appointment, using an ATM to withdraw some money, reading a newspaper or favourite magazine, writing a cheque to pay for desired goods, or watching a favourite television program can all become extremely difficult and frustrating activities after a stroke. It is important to seek help sooner rather than later after a stroke, in order to maximise recovery of speech and language skills and implement strategies that will serve to improve an individual’s quality of life and well-being. If you or a family member have suffered a stroke and have experienced changes in your communication, please contact us. Other neurological conditions, such as Parkinson’s Disease, Multiple Sclerosis and Motor Neuron Disease, can impact upon an individual’s communication and/or swallowing function, particularly as the condition progresses and bodily functions deteriorate. Many of the communication and swallowing difficulties described above for stroke patients can be experienced by people with neurological conditions such as Parkinson’s Disease, Multiple Sclerosis and Motor Neuron Disease. It is important to seek assistance from a Speech Pathologist as soon as changes in an individual’s communication and/or swallowing status become apparent, rather than waiting until they become too serious and are having a significant impact upon the person’s quality of life and well-being. This will ensure that the appropriate strategies and treatments can be implemented as soon as possible and prevent the need for more ‘drastic’ interventions such as thickened food and fluids. 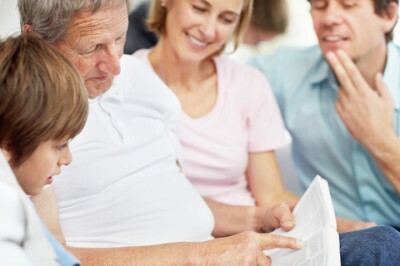 If you or a family member are currently experiencing any communication or swallowing difficulties associated with a medical condition such as Parkinson’s Disease, Multiple Sclerosis or Motor Neuron Disease, please contact Parramatta Speech, Language & Literacy Solutions to organise an assessment. Veterans may experience any of the swallowing and/or communication difficulties commonly resulting from stroke or other neurological damage to the brain, as well as the general ageing process. Veterans are entitled to receive free Speech Pathology assessment and treatment through the Department of Veteran Affairs, provided that they have a valid referral (D904 Form) from their General Practitioner. For more information, contact us.